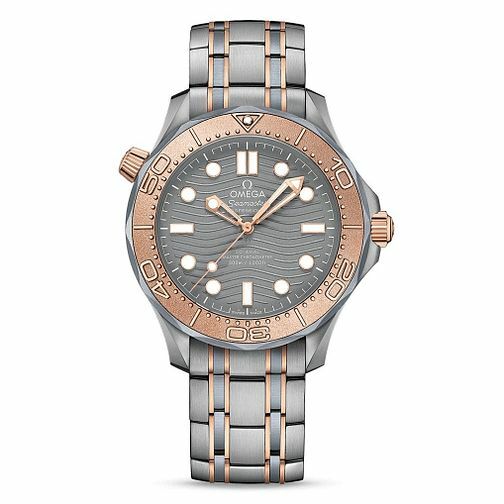 The Seamaster Diver 300m men's watch by Omega boasts a two-tone stainless silver build. With silver and rose gold tones, this attractive Chronometer-certified watch features a grey dial with a lasered wave design influenced by the sea. Round and rectangular hour markings co-ordinate with the hands, and finished with the two-tone stainless steel bracelet this Seamaster packs style and sophistication. This watch is water resistant up to 300 metres.